Fall 2008 has finally brought some good news for local & national nature lovers and environmentalists. So which of the following events has you the happiest? • Withdrawal of the planned Wal-Mart for Creve Coeur Lake flood plain. • Passage of Prop C to promote renewable energy in Missouri. 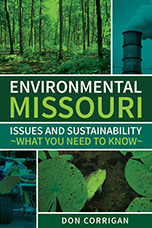 • Election of pro-environment candidates to the Mo. Legislature. • End of the reign of Anti-Environment Bush Administration in U.S. 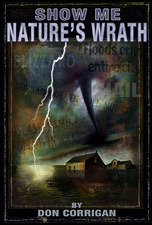 Nature lovers, conservationists and environmentalists have a lot to celebrate as we get to the close of the year: Passage of a renewable energy bill in 2008 for Missouri; Defeat of anti-environment administrations from the White House to the Statehouses; and locally, the withdrawal of the planned Wal-Mart for Creve Coeur Lake flood plain. I would add encouraging news that the Hidden Valley Ski Resort will not be closed after all, because of new negotiations taking place between Wildwood and the resort management. Some environmentalists are unalterably opposed to ski resorts. I am not opposed to all such recreation areas for two reasons: First, the ski hill gets kids outdoors and away from their XBox Video Games, and this may be the beginning of their love for the outdoors even when it’s a little cold outside; Second, Hidden Valley, if it were closed, would likely become a residential development of McMansions with polluting septic tank systems. Enough of those, please! Despite our successes, the battles for local nature lovers, conservationists and environmentalists never really end. A new battle shaping up involves the relocation of the President Casino to a site up the Mississippi River near the Chain of Rocks Bridge.